Struggling when your child won’t sleep alone? Avoid these 8 mistakes that only make things worse when your 2 year old refuses to sleep through the night. At some point during one night (I prefer not to know), my then-2 year old startled me awake with a rousing cry. I ran into his room and comforted him to whimpers and hiccups until I could finally settle him back in bed. “Stay,” he pleaded, complete with puppy dog eyes. Delirious with sleep-deprivation, I put him down in bed and stretched out on the floor next to him. I’ll stay here until he falls asleep, I planned. Unfortunately, it took him forever to even settle down and finally fall back asleep. And just when I thought it was safe to get up and leave, he woke up, stood up in his crib, and looked for me. My husband and I would then have to repeat the whole process again of putting him down and lying on the floor. This happened more than I cared to remember, with us trying to sneak out only to be caught in the act or beckoned each time he woke up. The next day found the entire household miserable and cranky. And that’s just one example of when a 2 year old refuses to sleep. 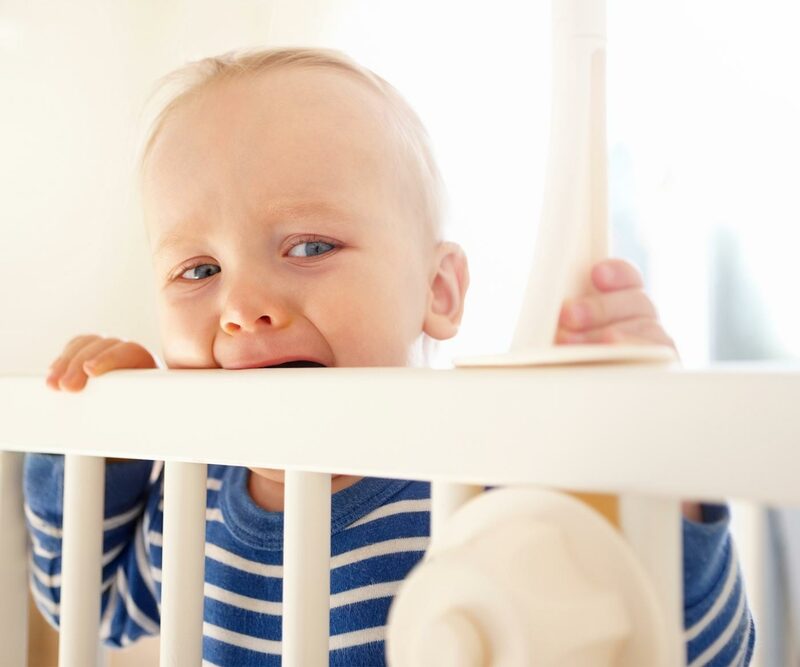 Maybe you used to be able to lay your toddler down awake—with the door closed, for crying out loud—but now won’t sleep in her crib. Or perhaps you’ve transitioned her into a new toddler bad, but she runs after you each time you leave. Other times, you feel awful for making him sleep in his room, or are simply too sleep-deprived for yet another power struggle, and so allow him to sleep in your bed. While this avoids the extra tears, co-sleeping only makes for a fitful night for the both of you. Plus, you’re not getting much time for yourself. Those hours between her bedtime and yours is cut short when you’re plopped next to her bed for 45 minutes. And forget about sleeping through the night with the frequent wake-ups or tossing and turning when she’s in yours. There’s a lot of advice floating around, leaving so many moms more exhausted and unable to undo the sleep situation they’ve suddenly found themselves in. Many of these mistakes are rooted in good intentions—after all, no one wants to see their 2 year old upset, or they’re too sleepy to deal with it yet again. But repeated over and over, these habits then become so ingrained that we actually deny our kids the chance to sleep well and feel confident doing so. Your 2 year old might refuse to sleep for an hour, but conk out the minute you hold her in your arms. And yes, this seems like a “solution” when you compare screaming with sleeping. Except you know what happens next, right? The minute you put her down in her bed, more often than not, she’s wide awake yet again. And even if you do manage to get her to stay asleep, she’ll wake up soon enough and come crying for you again. Falling asleep in one place only to wake up in another is disorienting for her, especially when she was upset just minutes before falling asleep. And since we all wake up throughout the night, she’ll only come looking for you each time she does. Don’t allow her to rely on only falling asleep in your arms, as this will only make it into a habit that’s quite difficult to undo. If you do hold her in your arms to calm her down, make sure she’s awake before setting her back in bed. Otherwise, she’ll wake up just as confused and upset throughout the night. Get examples of a 2 year old sleep schedule. One mistake parents make is assuming that they need to close the door and let their kids cry the night away. You can imagine how horrible and guilty this can leave you feeling, especially when sleeping in their room can make the tears go away. But helping your 2 year old feel confident about sleeping alone isn’t about crying. The crying itself isn’t what puts her to sleep—it’s simply her way of expressing how upset she feels. Instead, start with a confident and encouraging demeanor yourself. Explain and describe what’s going to happen in a kind and compassionate way. Then, reassure her that you’re right in the next room and will check in on her every few minutes. She’ll likely cry at this point because she’s not used to it, but your confident and calm demeanor will help her feel like this is nothing to worry about. You’ll then check in on her every few minutes, extending those minutes as the night goes on. The only time you stop checking in on her is when she finally stops crying. You never leave her to herself for the night without going in to check on her periodically. Each time you do, avoid being melodramatic. Encourage her with supportive words like, “I know you can do this!” or “You’ve stayed in your room for 10 minutes all by yourself!” Keep these check-ins short and simple, staying no more than a few seconds each time. I’m normally a fan of giving my kids a “head’s up.” I’ll tell them when it’s 10 more minutes before heading out the door, then five, until finally it’s time to wrap up and put shoes on. Unfortunately, this doesn’t always work so well come saying goodnight, especially when your 2 year old refuses to sleep without you in his room. Let’s say he’s fine getting ready for bed, but the minute you leave, he’s a wreck. So you try telling him you’ll stay for 10 minutes only. All is fine once again, but once those 10 minutes are up and it’s time to say goodnight and actually leave, he’s back to being a mess again. While the intention is good, delaying the inevitable goodnight only raises his anxiety once that moment arrives. There wasn’t any opportunity during that delay to help him cope with his emotions, or adjust to a routine, or find ways for him to self-soothe. Instead, he still needed you to feel content… which only means he can’t be happy when you’re not there. Plus, delaying the goodnight only makes it seem worse than it is, as if it’s something to dread, instead of a regular or even pleasant part of his routine. 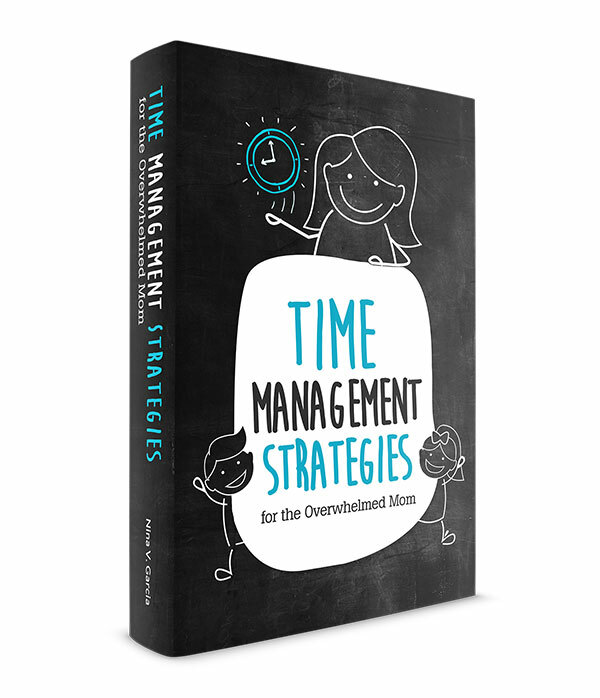 Instead of counting down, focus more on your demeanor: be confident that this bedtime is normal, and that this is exactly what needs to happen. Get more tips on handling your toddler’s separation anxiety at night. Sometimes it seems like the only thing that will finally get your 2 year old to quiet down is to stay in her room until she falls asleep. Maybe you place a chair next to her bed, one you inch farther away as the night goes on. Or maybe you agree to lie on the floor next to it, reassuring her you won’t leave until she’s asleep. You might even start the night patting her on the back for what feels like hours before she’s finally out. You can imagine how problematic this can be on so many levels. For one thing, she doesn’t have the opportunity to fall asleep on her own feeling confident and safe, especially when your presence only confirms that perhaps it isn’t a good idea to do so. She’ll also wake up throughout the night, and unless you’re where she last saw you, will cry for you until you come back. This also eats up into your own personal time. Anyone who has found herself lying on the floor miserable because there’s still so much to do knows this feeling all too well. Now, there are some cases when being in the same room can help ease your child’s feelings, especially when you can actually see improvement. When my toddler was transitioning into a bed, my husband or I stayed in his room the first night or two until he got the hang of it. But if you sense that your presence isn’t helping much, or even worsening her dependence on you, then that’s when you know to nip it in the bud. After switching to a toddler bed, it didn’t take long for my son to realize he could get out of it and even open the door. Except I was prepared, or so I thought. “For how long?” he asked. “For as long as it takes, I think,” I responded. And that’s about how long it took before we just about gave up. Because for two hours straight, my son did nothing but open the door to his room and walk out, no matter how many times we walked him back to bed. We finally relented and my husband slept on the floor next to him. The advice is well-meaning: after a while, kids will get the message that they must stay in bed. Except here’s the problem: they also get the message that they can get out of their rooms. And that mom or dad will always be on the other side, ready to walk them back in. The next day, I placed these doorknob covers on the inside of his room, so that he couldn’t get out. Other parents install a baby gate instead. The point is the same: just as they had been contained in their cribs, now the same needs to happen with their room, at least until they don’t feel the need to keep leaving. Make sure your toddler’s room is safe and equipped for him to roam. Plug in a night light, baby-proof large pieces of furniture, and use darkening curtains and white noise. All these steps will help him sleep well at night and be safe if he walks around. Combined with checking in frequently, keeping him in his room is a far more effective way to get him to sleep than walking him back a zillion times a night. Get more tips on how to help your toddler stay in his room. I’ll just let her sleep in my bed, you might figure. After all, at least you’re comfortable in your bed, instead of sitting in a chair or sleeping on the floor. But as we all know, it isn’t always comfortable sleeping with a toddler, especially one who likes to kick, make sounds, and pull the blankets throughout the night. Never mind that you feel like you can’t move, lest he wake up because you stretched your arm an inch. And perhaps worst of all is that letting him sleep in your bed reinforces that his room or bed are not good places to be. After all, if he is supposed to sleep in his own bed, then there wouldn’t be any reason for him to sleep anywhere else. Reinforce that his bed is where he needs to be. Spend time in his room, outfit his bed with new sheets, do the bedtime routine in his room. And most important, encourage him to sleep in his room instead of thinking he needs to sleep in yours. One way to convince him to sleep in his room is to offer to leave the door ajar and the hallway light on. Some kids feel reassured seeing this light and knowing you’re just on the other side of the door. 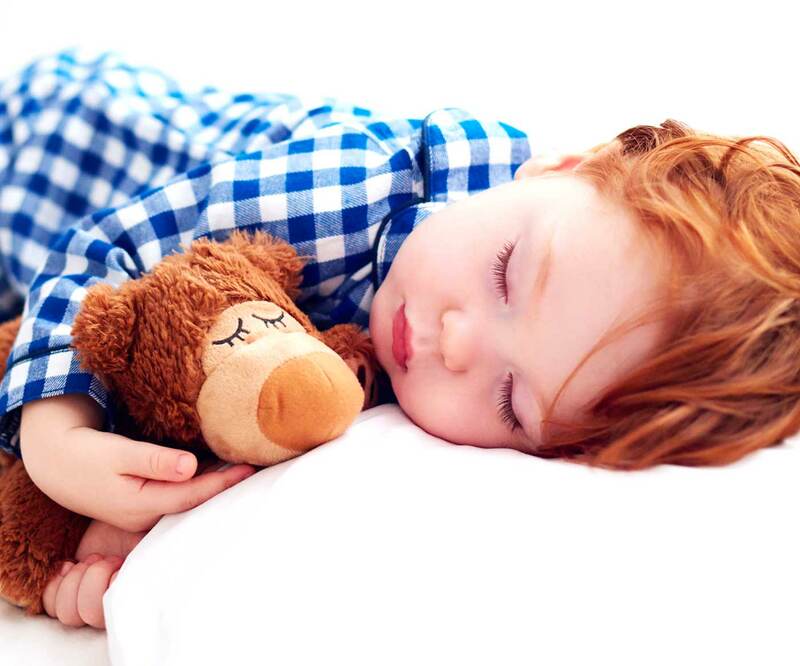 Get tips on how to help your toddler sleep in his own bed. Like we said in the beginning, there isn’t one set way of doing things. One parent just might find that walking her toddler back to his room worked after one night. Another could realize that she could hold her toddler in her arms and know she’ll stay asleep. And as what had happened with my eldest, sleeping on the floor next to your toddler could indeed only take a night or two before he’s comfortable sleeping on his own. The trick, however, is to stay consistent with the method you choose. Switching methods night after night only confuses your 2 year old and isn’t giving her enough time to develop new habits. Just how long is long enough? Give it at least five days—if you find that nothing is improving, or that things are getting worse, then switch at that point. But you can’t expect things to go smooth sailing after just one try. When it comes to children’s feelings about bedtime, you’ll sometimes find two extremes. One is that we downplay their emotions. We call their fears silly, say “There’s nothing to be afraid of,” or get irritated when they cry for us. The other side finds us overindulging their emotions. We make a “monster spray” to supposedly clear evil creatures we know aren’t there. Or we act just as anxious as they are, comforting them as if they’re faced with the worst situation. Instead of either extreme, focus on what we’re supposed to do: teaching our kids how to manage their emotions on their own. Start by labeling and describing what your 2 year old feels, mentally and physically, so she knows they’re normal and common. Talk about different ways to cope, from hugging her stuffed animals to thinking of her favorite parts of the day. And give her reassurances she can tell herself so she knows all is fine. That way, she won’t need you to sleep in her room. 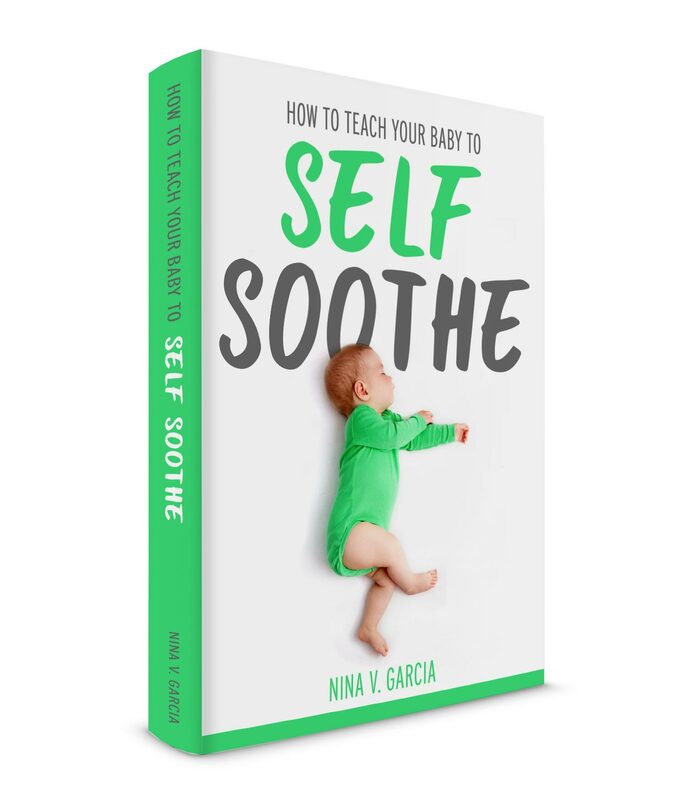 Instead, she can practice these self-soothing skills and feel braver and more confident in the process. Repeating these same mistakes all do one thing that only hurts our kids: it enables the very habits—co-sleeping, lying on the floor next to her bed, holding her in your arms—that you’re wishing away. Instead, start with the end in mind. Decide on the outcome, set good habits early on, and nip everything else in the bud—even if your toddler pleads, “Stay?” with puppy dog eyes. 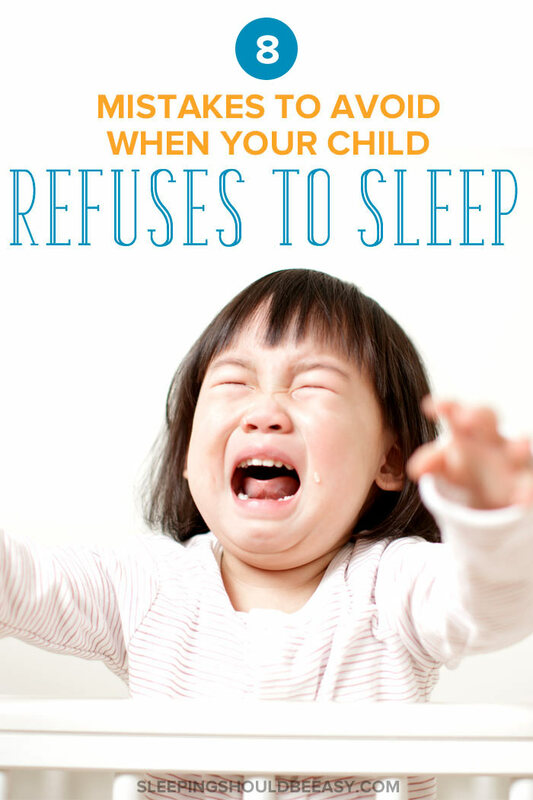 Did you like this article about what to do when your 2 year old refuses to sleep? Share it on Pinterest and Facebook!